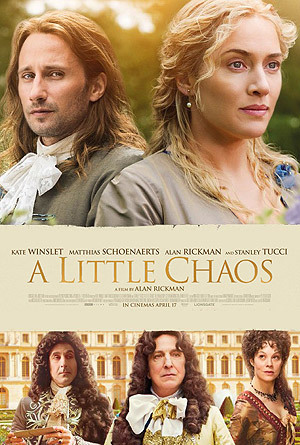 Kate Winslet, Matthias Schoenaerts and Alan Rickman star in the British period drama A Little Chaos. Watch the movie trailer below. A passionate love affair challenges a beautiful landscape gardener both personally and professionally as she navigates the sexual and political intrigues of the Versailles court.